Welcome back for the 2018-2019 school year! It’s going to be a great one! 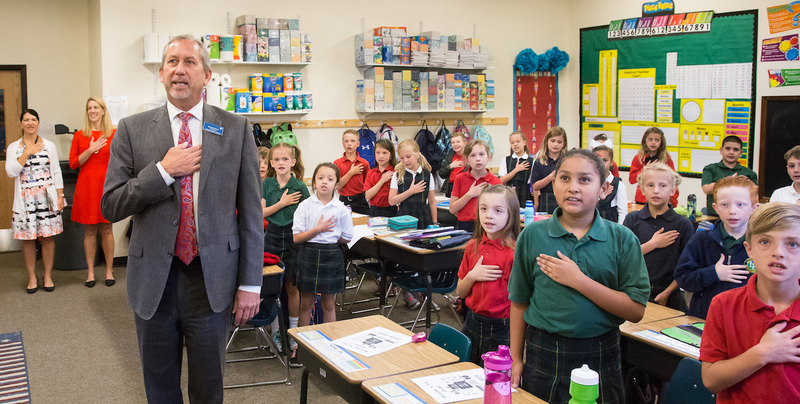 Superintendent Brian Ewert kicked off the 2018-2019 school year by visiting a number of LPS schools on the first day. Alongside each school’s principal, he offered high fives as students descended from their school busses and lighthearted conversation as they headed into their classrooms. The Littleton High School graduating class of 1953 gathered in front of the ESC on the first day of school. The ESC was Littleton High School when they attended 65 years ago.